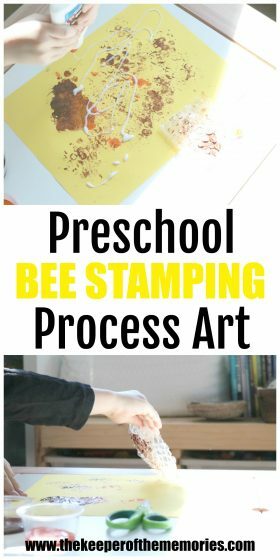 Check out this awesome Beehive Stamping Art for Preschoolers! It’s perfect for your next Bees or Bugs unit. 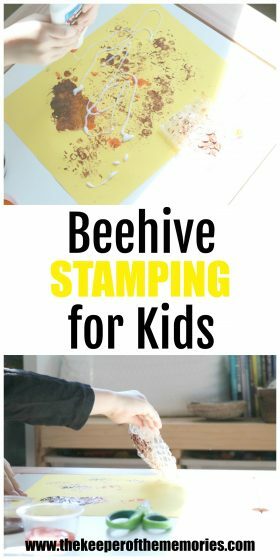 And let’s not forget that little kids think it’s so cool to stamp beehives with bubble wrap! It’s April, y’all! Can you believe it? That means a few things around here including, but not limited to, the fact that we can go from hot and sunny to cold and dreary in the same day. Like seriously! 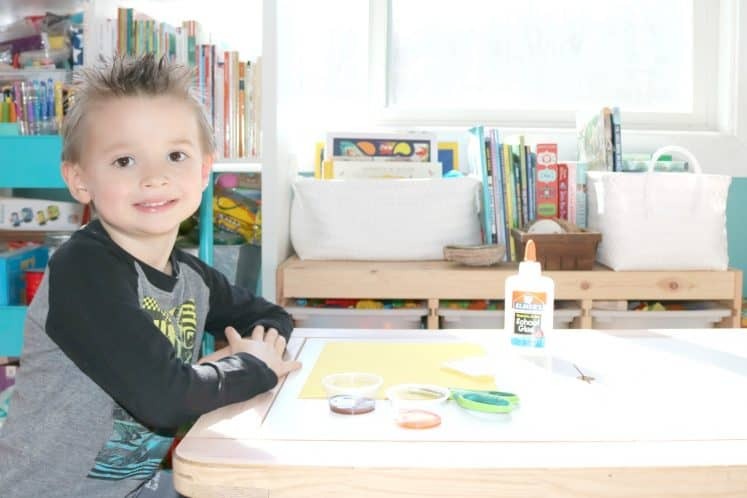 Yesterday started off with spring showers and by the time the little guy and I sat down to get to work, it was insanely bright and sunny in the studio. Bees can have different types of homes such as hives, nests, or underground. These homes are places to lay eggs and store food. I thought it’d be fun to share our first Invitation to Create for our new theme Bees & Butterflies. 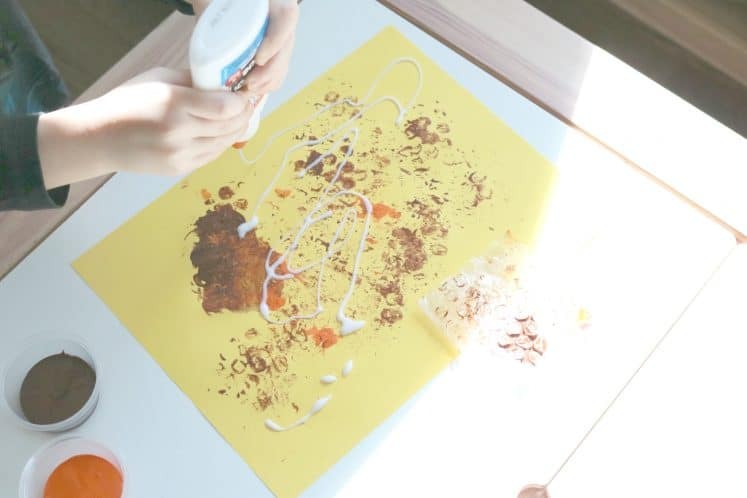 After all, we seriously can’t get enough of these awesome open-ended, process art experiences! What do you think is inside a bee’s home? Explain that there are cells inside all bee homes where bees store food or lay eggs. 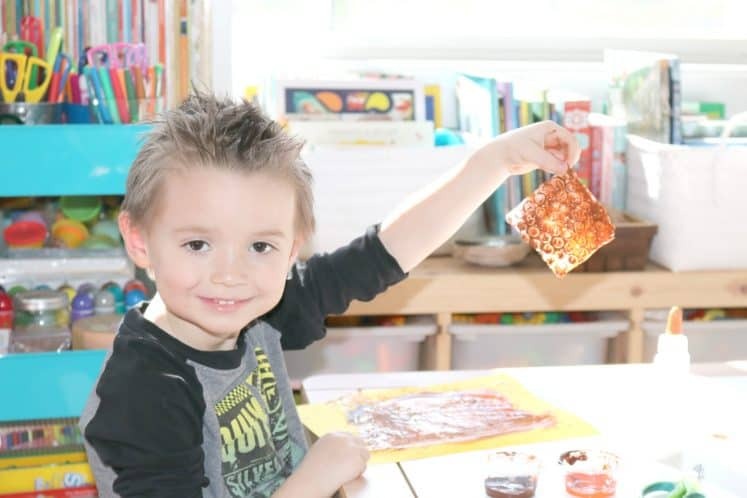 How can you use the bubble wrap to stamp a beehive? What could you use to make a bee? 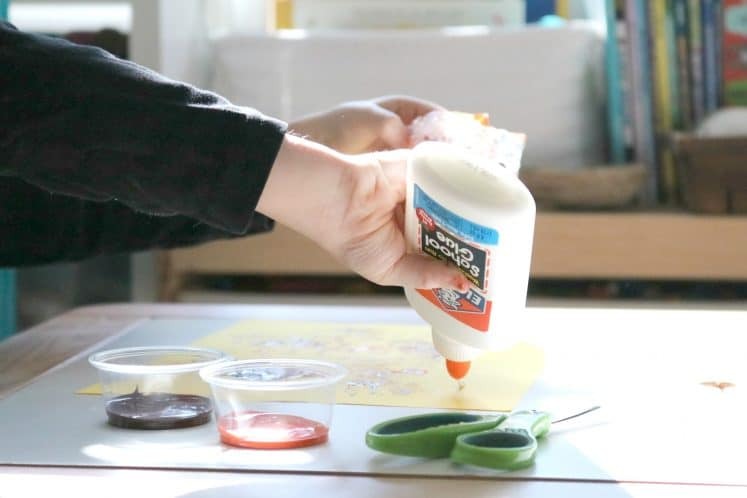 Did the child press the bubble wrap in the paint and stamp designs? What other choices did he make to create a desired effect? First things first, the little guy helped me set up. I read the supplies list and he started getting things together. After that, it was time to get started! He obviously loved every minute of pressing the bubble wrap in the paint and then stamping on his paper. That’s just one of the many reasons why we’re all about process art. Little kids get the opportunity to enjoy creating with absolutely no pressure and no expectations. 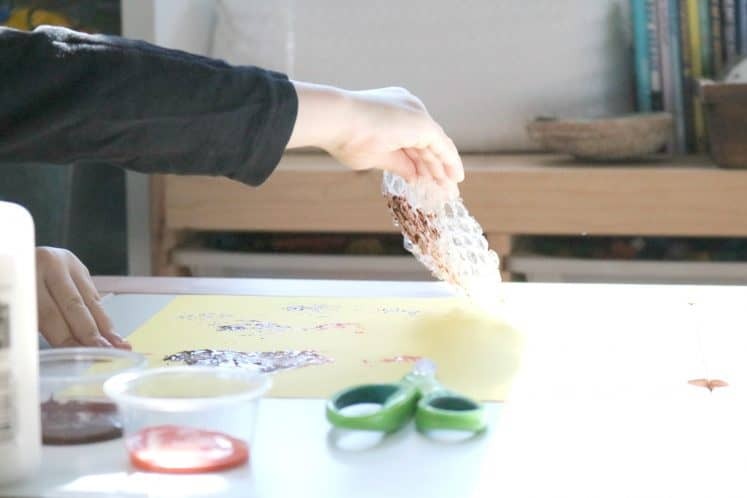 And of course they get to explore lots of different mediums and materials too. After all, that really is what process art is about – the experience! 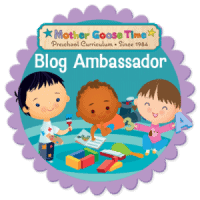 Remember to stop by next week if you’re interested in seeing what we’re up to with our Bees & Butterflies theme. 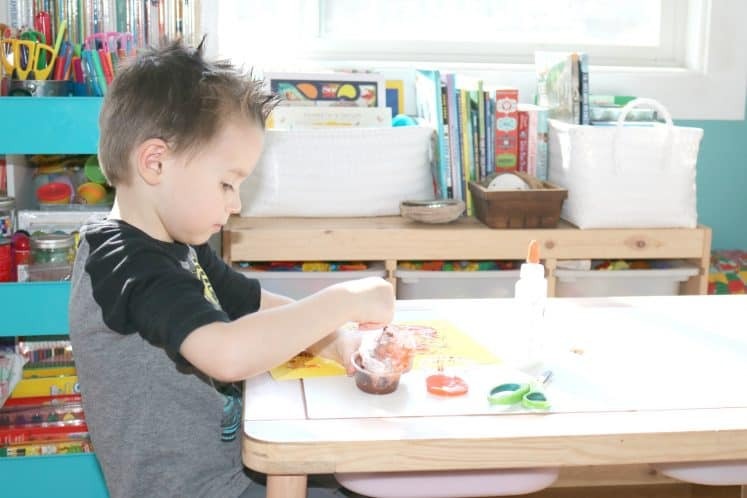 Oh, and if you missed this year’s preschool homeschool space post, you can check out that too!